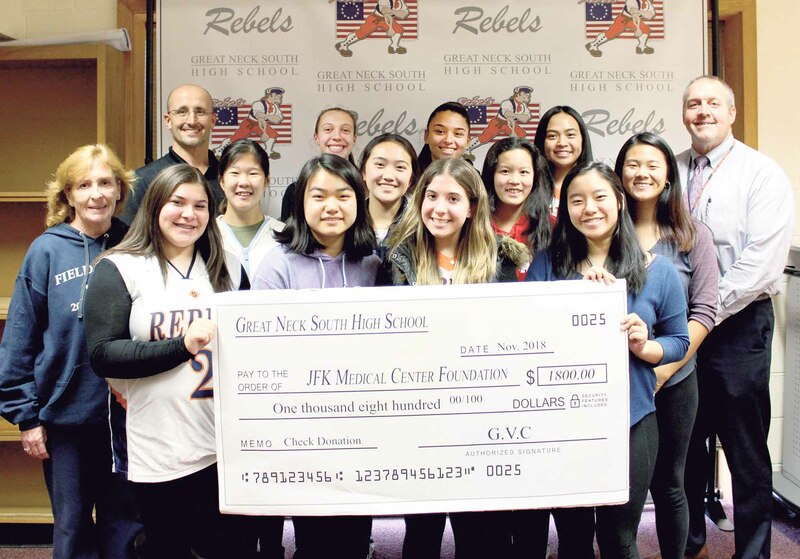 The Girls Varsity Club at South High School recently sponsored its 23rd annual charity volleyball tournament with 42 teams. The record number of teams participated in the two-day tournament, which also included a costume contest and a rock-paper-scissor competition. The event raised $1,800 for the JFK Medical Center Foundation to support patients recovering from traumatic brain injuries. South High Girls Varsity Club board members are flanked by (from left): Club Advisor Tara Rosenthal, Athletic Director Don Herr and Principal Dr. Christopher Gitz.